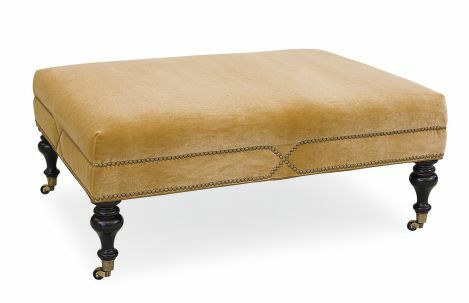 Upholstered ottoman with nail head detail. Wooden legs and casters. 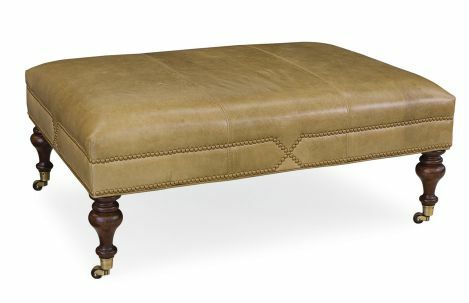 Available in fabric or leather.